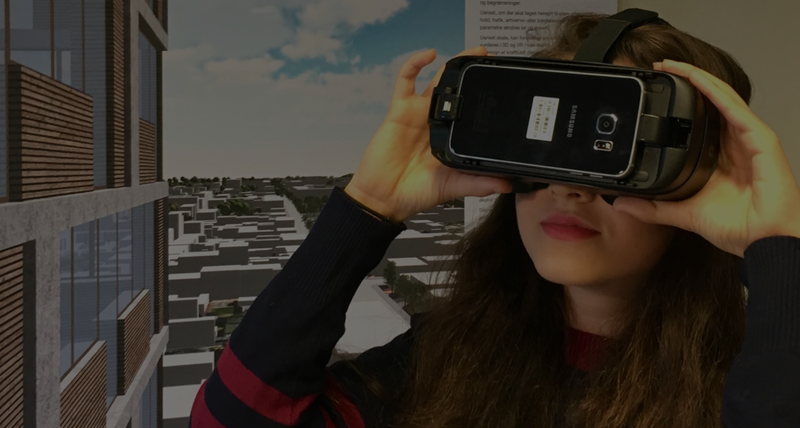 This 2-day symposium and workshop at Aalborg University, Denmark, invites academics, students and practitioners in architecture and design and related fields to share the latest knowledge about virtual reality in architecture and design. The symposium offers the opportunity to get both hands-on experience with a host of different applications of VR in architecture and design and theoretical insights through presentations of current research given at the symposium. Virtual Reality (VR) can create the illusion of being present in virtual spaces—including designed architectural spaces and digitised spaces. This is a achieved by immersive technologies such as adjustable stereoscopic displays, spatial audio based on the orientation of the user, height-adjustable camera positions, and parallax effects based on the movements of the user. The combined effect of these technologies is a more convincing depiction of sizes, proportions, lighting, materials, and other properties of spaces than any other technology can offer. VR is not limited to presenting virtual spaces: it can also provide ways to interactively explore virtual architectural spaces as well as abstract design spaces. And it allows us to collaborate with virtually co-present colleagues, clients, students, etc.—whether they are in the same room or in remote locations. Hence, VR opens not only new ways to experience and communicate architectural space, existing or unbuilt. It also opens completely new ways in which to collaborate on architectural designs. Recently, the commercialisation of VR technologies for consumers and the increased performance of desktop computers, laptops, and smartphones has enabled applications of VR on large scales and at low costs that were hard to imagine even a few years ago. With these rapid developments, it is more important than ever for educators, scientists, and practitioners in architecture and design—and beyond—to learn and stay informed about the possibilities that VR offers now and in the near future. A total of 17 papers have been submitted to the eCAADe Regional International Symposium 2019. The symposium program will be released shortly. Guidelines for paper submission are now available on the Submissions page. The paper submission deadline has been extended until April 1, 2019.